How long do you spend taking care of admin, importing and exporting data between systems or searching for relevant candidate records in your internal database? If not properly managed admin tasks can start to take over a recruitment consultants working day, even worse they may end up neglected leading to consultant cross over and disagreements down the line. With over fifteen years experience in recruitment including growing and running a successful agency I have identified a few tips and tricks that will increase productivity and ultimately placements. Get into the work early whilst the office is quiet and take care of your of emails. Clearing your inbox and catching up with last nights emails will remove a major distraction allowing you to get on and speak to great candidates and companies. Keep formal meetings to a minimum. Does the office catch up have to take place in the meeting room? Why not have a quick stand up meeting in the office instead. Automate day-to-day recurring tasks such as invoice creation, candidate searches and CV management. If you want to minimise time spent on key tasks take a look at HRS’s ‘one second tasks’. Our in house specialists can show you first hand how to increase efficiency through a personal HRS walkthrough. Distractions during important tasks can quickly lead to mistakes. Constant alerts from your smart phone and an untidy desk are two big distractions that can be easily resolved. Maintain a tidy desk and turn off your social notifications, catch up with Facebook on your break. At the end of each day plan the following days tasks. Make a to-do list arranging tasks in the order you want to complete them. Structuring your day breaking tasks down into clear chunks will aid both productivity and motivation. 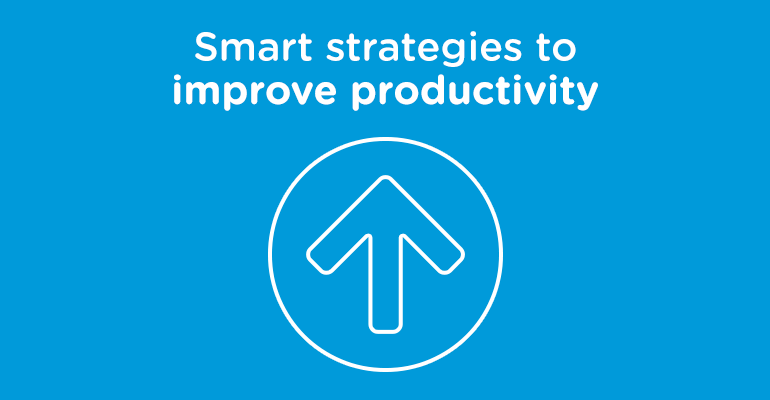 What are your tips for increasing productivity? Share your advice in the comments section below. For the latest recruitment news, tips and advice for securing more placements and clients connect with HRS on Twitter, Facebook, LinkedIn and Google+. Friend, follow and connect.